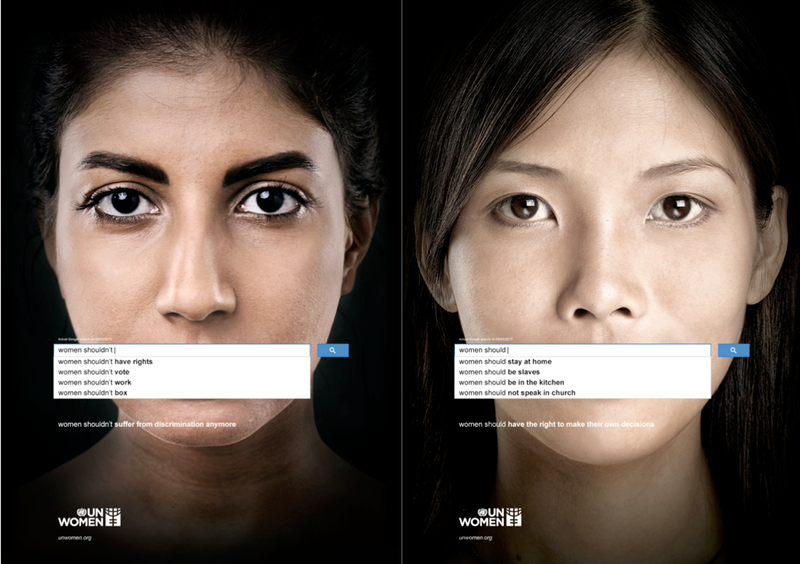 UN Women just made their latest ad campaign public and it proves a known but undoubtedly terrifying fact: finding sexism in the world is as easy as typing a few words into the world’s largest search engine. 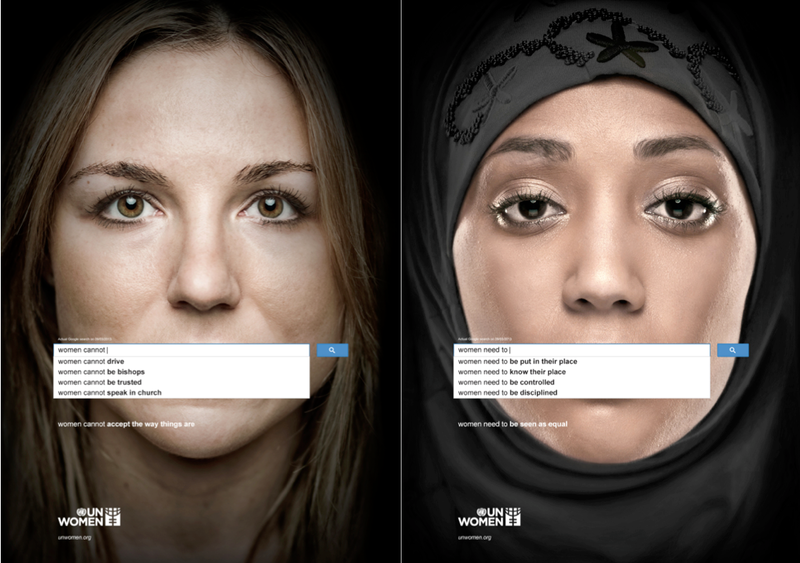 The ads match women’s faces with beginning search terms such as “women cannot” and “women shouldn’t” and show how gender prejudices can rear its ugly head on a universal tool like Google by disclosing the autocomplete suggestions which reek of misogyny. As if to silence their voices, the phrases of the Google searches were placed over the mouths of women portraits.